To access Learners, log in to your Learnsyt account > Go to Admin Dashboard > Click on Learners. 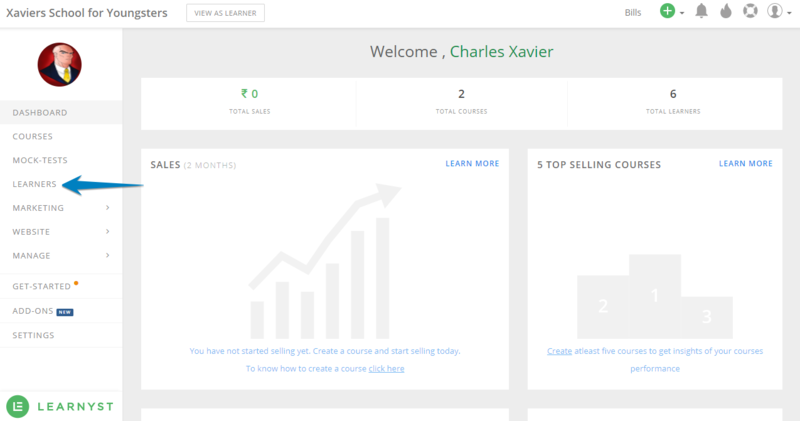 In this screen you can see all the details of your learners. It shows a comprehensive list of all your learners with their contact details, Last login date, Total Orders, Total Spent. You can also bulk import your existing learners to your school. To know more about importing students Click Here. You can also invite learners to join Private Course. Just click on the Invite Students button, fill up the mandatory fields. Your learners will receive the invitation in their mail box. You can search for students using filters of various parameters. 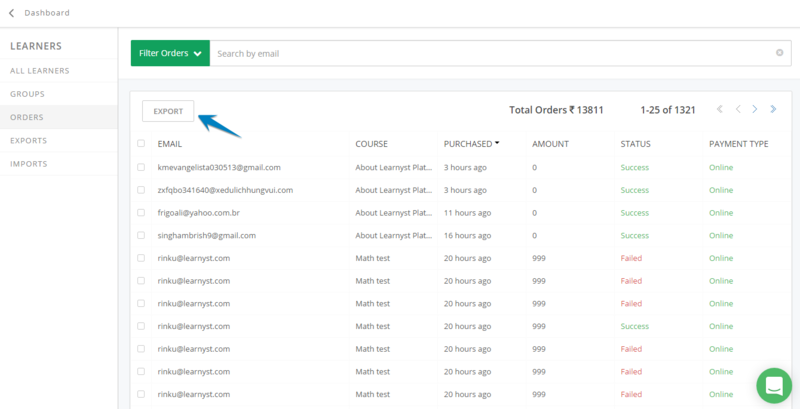 Orders section lets you manage all the orders placed by your learners. You can see contact details of your learners, the courses they have signed up for, their payment types, purchase date, amount paid by them and status. This helps you in boosting your online teaching business as you can contact your learners who are no longer active and convert them to your loyal learners base. 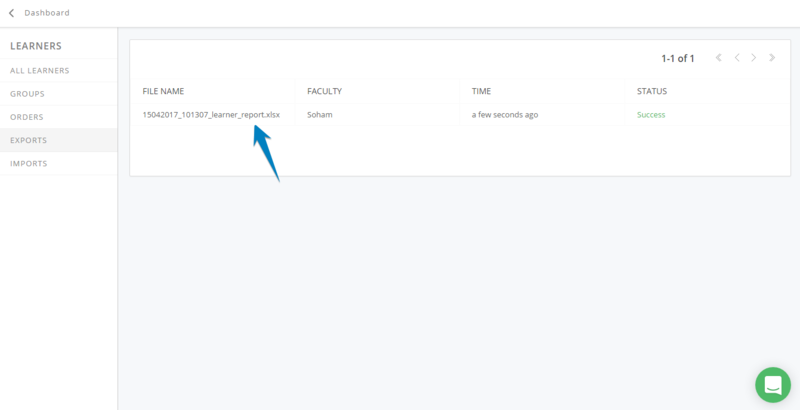 You can also export the learners data from orders page and use it for future use. When you click on the export button. It will be saved in your exports sections. You can download it from there anytime you want. Click here to know how to export the orders data. In this screen you can see all the files that you have saved for exporting offline. You can download the files of your choice any time you want. 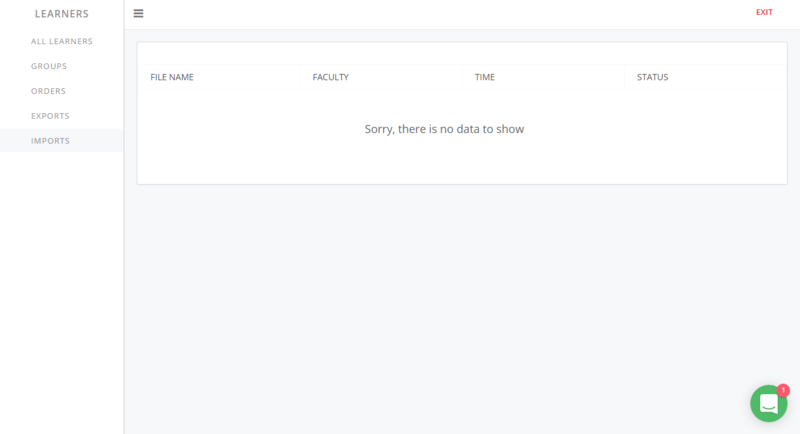 In this screen you will see all the files you have imported to your online teaching platform from offline systems.